The Indian festival of the Oracles of Kodungallur celebrates the goddess Kali and her demons. 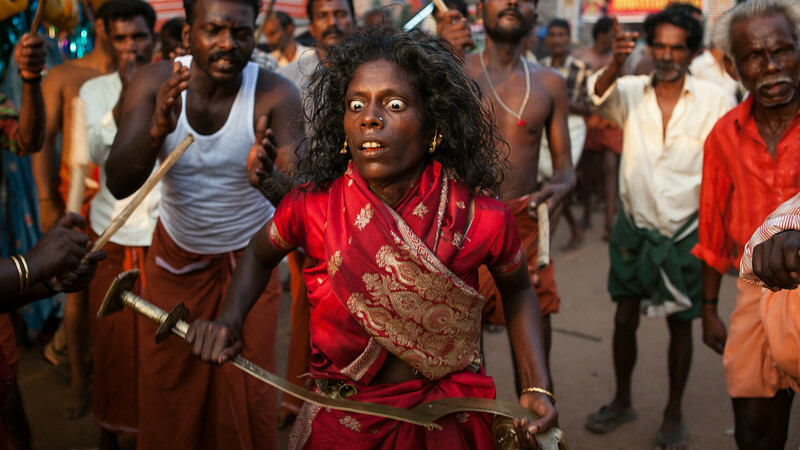 To appease the goddess, devotees enter trance-like states where they dance and chant to the hypnotic beating of sticks. During the frenzy they will bash their heads with blunt swords. Turmeric powder is daubed on the wound to staunch the flow of blood. The festival occurs in March/April in the state of Kerala, India and last for several days.